Making a major purchase always calls for some product research first. Getting a new car, a new house, or a new refrigerator? It makes sense to look up prices, check on features, compare offers, and plan out future upgrades for such a large purchase. Your organization’s IP telephony needs shouldn’t be any different. If you’re looking for some used Cisco IP phones, what should you look for in your product research? Read on to find out the five main considerations when deciding on an exact model. Much like computers, every manufacturer on the market offers a wide variety of IP phones, ranging from budget-friendly solutions to high-end models fit for the enterprise sector. Even Cisco has offerings that cover every price category. Find a phone that meets your needs without eating into too much of your budget. Consider turning to the used or refurbished market for used Cisco IP phones if you want to save extra cash without sacrificing quality. Not all IT departments are large or funded enough to handle heavy maintenance. Smaller businesses often rely on third-party support or just a handful of technicians to deal with configuring new hardware. For that reason, maintenance on your new phone system should require minimal effort and resources. Tasks, such as adding new lines, changing passwords, and modifying current settings, should be easy to do. Finally, check on whether support from the provider is enough. The less time you spend maintaining your used Cisco IP phone, the more time you have for other more important tasks around the office. Many businesses rely on 24/7 communication lines, so, to minimize downtime, it makes sense to choose a system that installs and configures quickly. Plus, your needs might include customization options that fit the purposes and use cases of your organization. Tying into the points above, upgradability is the next highest priority to consider when purchasing a used Cisco IP & wireless phone system. 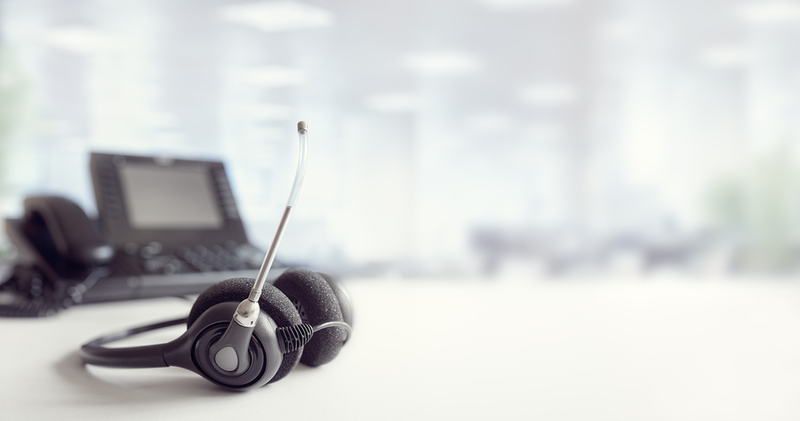 You want your telephones to adapt to your business’s evolving demands, so pick offerings with software support that allows for updates to newer versions. The phones themselves aren’t cheap either. Ensure they will work with the newly upgraded system as well. Remember that warranties and customer support guarantees can add to the value of a system. Choose a reputable provider with experience in the industry, one that can provide reliable servicing and replacement should issues arise. Cisco, for instance, is a relatively large and well-known manufacturer. It has been servicing the corporate telecommunications sector for over a decade. Don’t expect prices to be low under their name though. One downside to buying used Cisco IP & wireless phones is a low chance of receiving warranties or support from the manufacturer. Since Cisco doesn’t benefit from used sales nearly as much as new ones, it’s expected that the company isn’t always willing to provide these services to the second-hand market. However, that doesn’t mean you can’t get great support and warranties with pre-owned equipment. Network IT is a third-party provider of used Cisco IP & wireless phones among other enterprise-grade components and devices. We’ve been selling inexpensive equipment to businesses for over 2 decades, providing customer support and one-year warranties on all our sales. Get the best gear from the best brands in the industry like Cisco, IBM, HP, and Dell. • An IP phone system is a significant purchase that your company will rely on for several years. Don’t overspend, but don’t skimp on your research. • Check for configurability, upgradability, and warranty opportunities when shopping for a new IP phone system. • Get your next low-cost pre-owned IP telephony system from Network IT. Contact us and find out how much you can save.